My dearest Andrea and I went to the National Book Festival today. We decided on this late last night. Longer story, but not one I’m telling now because I am revelling in the intoxication, the euphoria, the lit-drunken joy of having spent a day in the company of thousands of other lovers of words and books. 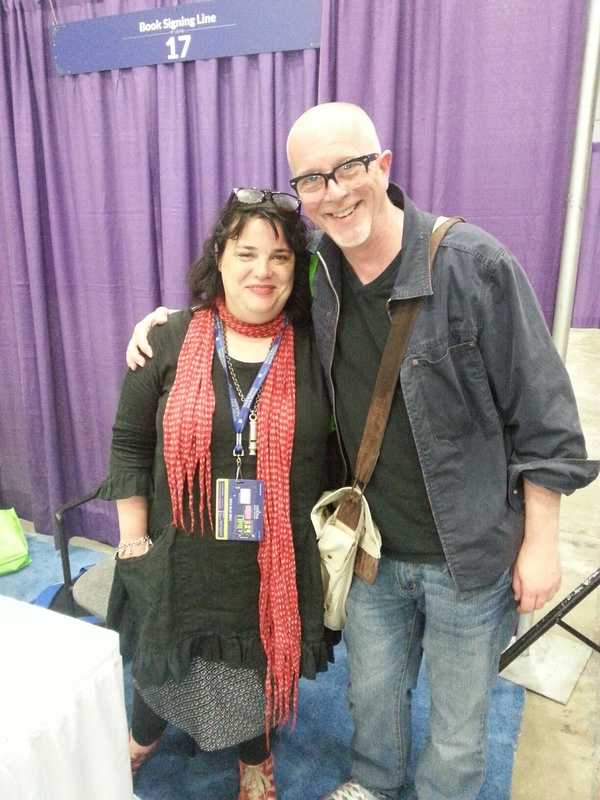 And I met Elizabeth McCracken. And hugged her. Repeatedly. Because I feel as if we have long been friends. And as if Elizabeth McCracken wasn’t prize enough in life, then I met Rafe Posey. And threw myself at him in a big hug too. And, same thing, though we’ve never met in real life, felt like greeting an old friend. Blessed. Lucky. Happy. That’s me. And if you KNEW how seldom I smiled like this – you would know how much this day meant to me. Thanks for reading. Back to luxuriating in my bliss. Much Love and Light. Elizabeth McCracken and me – yes, ME, young, vibrant, genius IQ, and SMILING! Because what’s better than ONE Elizabeth McCracken? TWO! 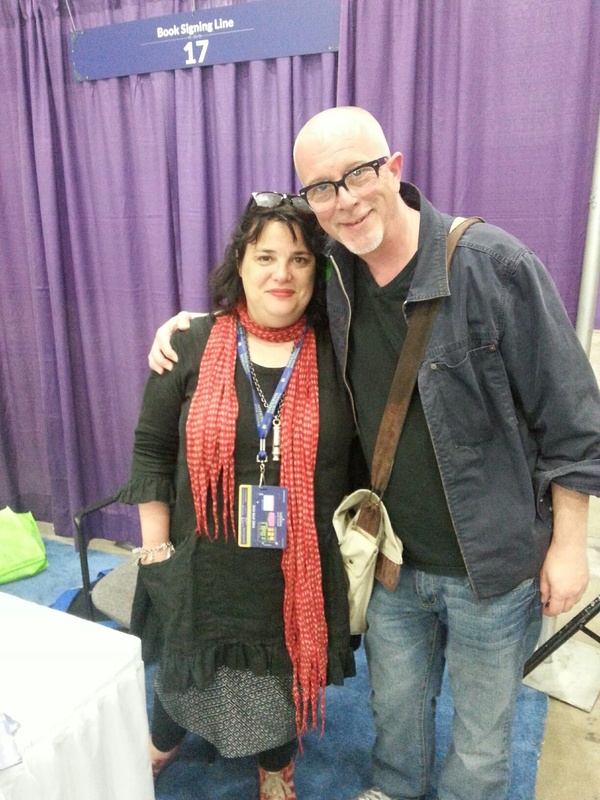 Yes, Elizabeth McCracken and founder of the McCrackenHeads – ME! A lovely, charming, youthful fellow full of love and pessimistic wit – turning over a new SMILEY leaf today. Previous Previous post: ZEIT-BITES FRIDAY: PoxyMoronic! Denny’s in NYC? Next Next post: Libertytown: The Stink of so Many Imminent Goodbyes . . .